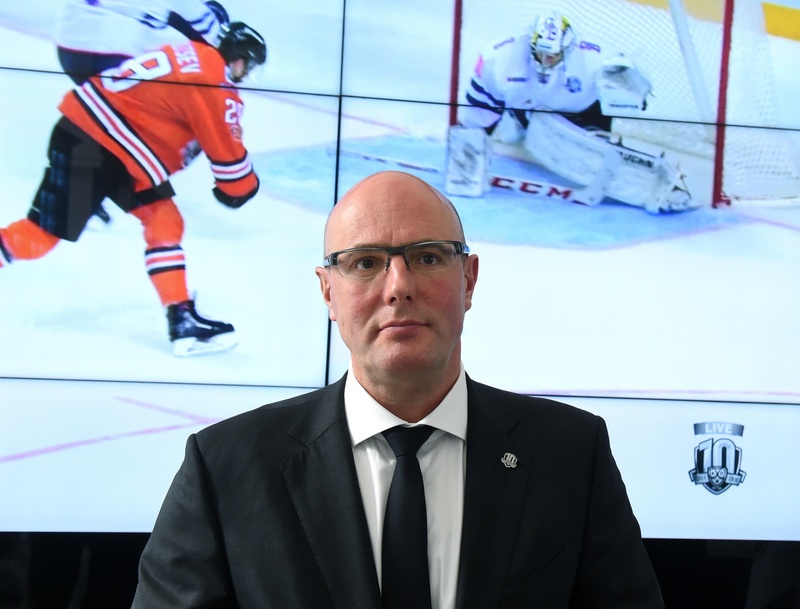 D. Chernyshenko: “Our main product is the game, in the stadium and on TV"
Following Friday's meeting in Moscow of the Board of Directors, KHL President Dmitry Chernyshenko spoke to the assembled media representatives and answered questions from journalists. I think this Championship is turning out to be highly interesting. Our strategy has placed the Sword of Damocles above the clubs, who know that next season will only feature 24 teams. We are witnessing many teams from lower down the rankings gaining in strength. Everyone is trying. Our main product is the game, in the stadium and on TV, so improving the quality of match broadcasts is high on the League's list of priorities. I see that the capital of Tatarstan, Kazan, joined the list of KHL cities with HD broadcasts, and now such clubs number 23 out of 27. We welcome this news and we are very grateful to the Tatarstan Republic's leadership. Additionally, we are completing our inspection of the arenas' lighting facilities and whether the illumination levels conform to the standards set down in our Technical Regulations. The results we have seen so far have been disappointing, particularly considering that when distributing the profit-share last season we recommended that funds be spent on improving the stadium lighting. On the 21st of September, we will summarize the results of the Commission's inspection, but to date, only one club's arena has lighting facilities which meet all the international standards for intensity, quality and uniformity of illumination. 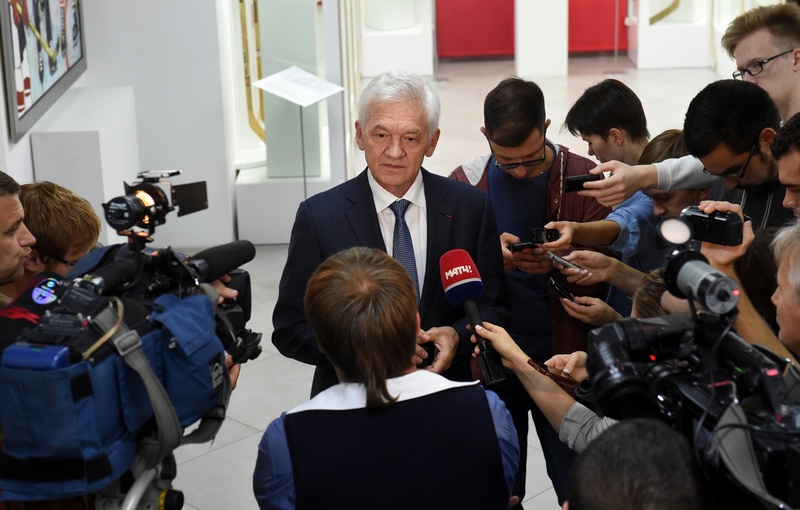 We will ensure that all our clubs install lighting which complies with the standards, or we shall impose fines, probably in the region of 300,000 rubles ($5,200). We all remember how in March we were shocked by tragic news of the passing of our great friend, talented coach, television commentator, hockey expert, and colleague Sergei Gimaev. A professional with a capital P. We promised to keep his memory alive, and so today the Board of Directors decided to introduce an award, For Loyalty to Hockey, named in honor of Sergei Gimaev. It will be awarded annually to the best veteran who is still playing the game. We also planned a similar tribute to the legendary double Olympic champion, Vladimir Petrov, but the Russian Hockey Federation decided to name the main trophy of the VHL in his honor. The new Board of Directors line-up had to consider several other issues, including the continued program of monthly support to veterans, of whom there are now more than 60. 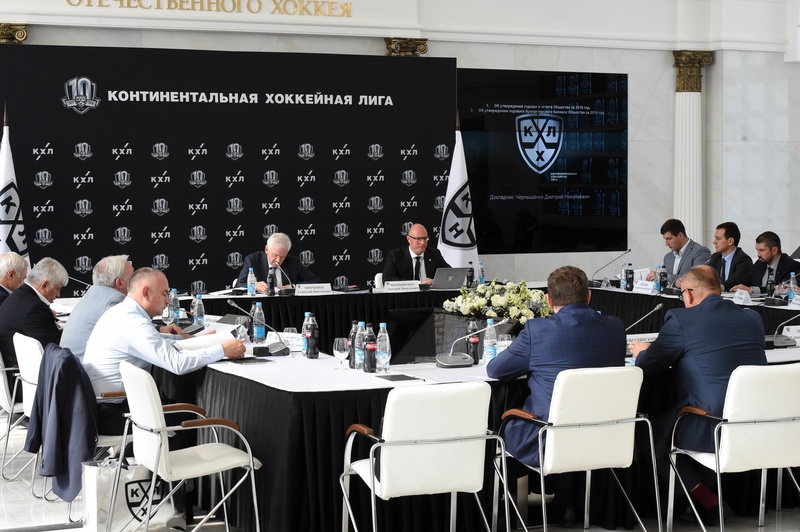 One of the League's target programs is the granting of funds to support to children's hockey, and to run this program the Russian Hockey Federation now receives annual funding from the KHL stability fund, which this year exceeded half-a-billion rubles ($8.67m). We will continue to participate in the funding of many children's hockey activities, and to this aim we shall allocate around 60m rubles ($1.05m) this season. A few words on the start of the tenth season. I think this Championship is turning out to be highly interesting. Our strategy has placed the Sword of Damocles above the clubs, who know that next season will only feature 24 teams. We are witnessing many teams from lower down the rankings gaining in strength. Everyone is trying. Let me remind everyone that at the end of the regular season we will produce our rankings, based on eight criteria, and the three teams with the lowest rating will drop out of the League. And now we are witnessing a fascinating battle developing. We are still not even a month into the new season, and we have already had a lot of matches with unexpected outcomes. I'm still impressed by the game in Ufa between Salavat Yulaev and Barys, in which the Kazakhstan guys scored three goals in the last minute. Nigel Dawes dazzled everyone with his scoring exploits. And it's great to see the progress made by the young players, particularly Kirill Kaprizov, plus the players who have returned from the NHL - Tryamkin, Nesterov and others. Our main source of funds is the sale of TV rights, so our main focus is on raising the quality of the League's main product. To achieve this, we need the players to perform well, we need to attract fans to the arenas, and we need the stadium lighting to meet the standards demanded by broadcasters. - Regarding the planned further reduction in the size of the League to just 24 clubs: there has been a lot of discussion in the press about teams which might be forced out. What is your assessment of these teams? - There is also the matter of Damir Ryspayev. Barys Astana President Askar Sobolev said he made a personal appeal to you, requesting that you lift the lifetime ban imposed on the player. Has there been any movement on this question? - What do you think of the news that there will be no NHL players in next year's Olympics? - 17 anti-doping agencies of different countries voted against Russia participating at all in the Olympics.